This is a compilation of problems and solutions to various graphic tablet, pen or driver related issues that people have reported. I've compiled solutions from various sources and made them easier to read. If you encounter a problem leave a comment and we will try to figure it out. If this list doesn't help then consider getting a replacement if your drawing tablet is too old. Now you've probably found it. 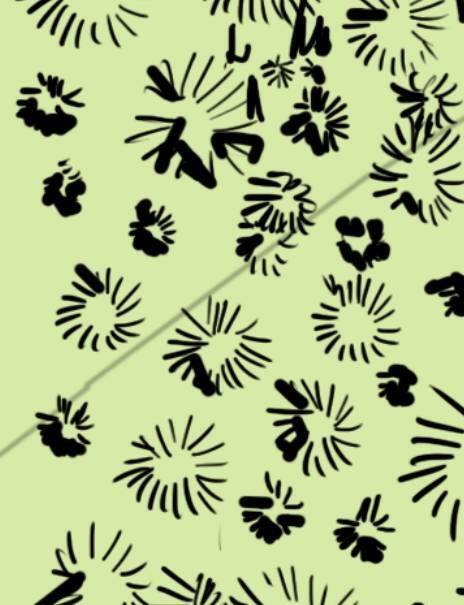 Whilst drawing in either photshop or SAI, the pen pressure sensitivity would just randomly fail and draw solid thick lines as if drawn with the mouse. Sometimes it would fail on the 2nd brush stroke, others on the 100th. It's completely random. Complete removal of drivers and Bamboo dock, then fresh install from the bundled disc. Even then, no luck. Lastly I decided to start ending proccesses in task manager one by one to see if there was perhaps a conflict. The pressure sensistivity would fail ALWAYS within 30 seconds of drawing. So my method was as follows: End a proccess. Draw a pic. One by one. I have an IT backround so I have knowledge of which proccesses are safe to close etc. Each attempt the pressure sensitivity would fail well within 60 seconds. Until I hit a proccess called "ouc.exe". After ending this proccess I have now gone a full day of drawing without this issue. I Googled said proccess and learned it is an online updater for my USB 3G Modem. My only guess here is since both the 3G modem and my tablet both use USB there is some sort of driver conflict. May there are intervals in which ouc.exe attempts to check for updates which then might just kick the tablet at that moment. My device is a Wacom Bamboo Create. I have a Cintiq 21 UX 2010 on windows 8.1 64bit, and have had some issues with jittery lines in PScs6 myself. The jittery lines could be solved by simply installing older drivers. pro636-3 worked fine. Then go to "PRESS AND HOLD" and Disable everything! (I think this is the most important part, where the tablet freaks out). 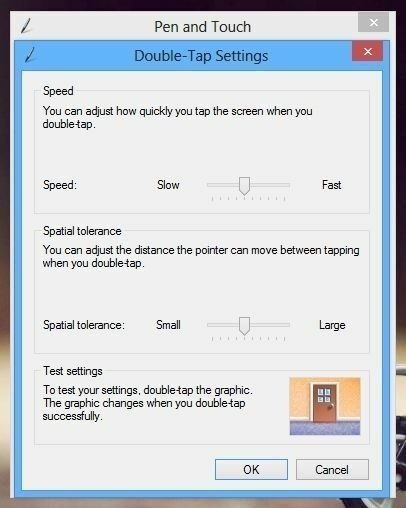 Then go to the Double-Tap Settings. What works for me is setting the first slider to the max-right; the second slider to the max-left. 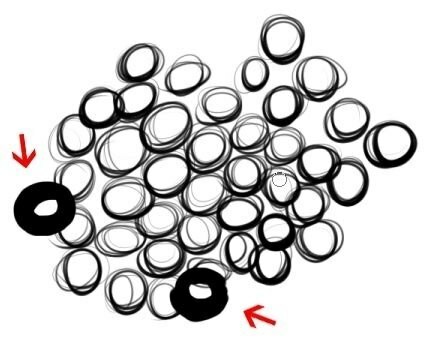 Whenever I was sketching with the brush tool on my Intuos Pro tablet I would randomly create fat strokes or lines where the start point of the next line connects with the end point of the last line, or where lines would just become full strength. This happened during high speed stroking or when I zoomed out, drawing small, and the pen tip stayed within half a square centimeter. After some more playing around I disabled the pen right click in Photoshop at the Wacom tablet settings. 1. The settings I changed are: Application: PS Photoshop. 2. And then I set the slider under "Tip Double Click Distance" to off. 3. Now, even when I zoom out I can sketch quickly and with strokes close by without generating any thick or fat lines. When using the Intuos Wacom tablet, every 3rd or 4th stroke shows full pressure applied. The problem continues even after resetting the user Wacom preferences. Known driver issue affecting current preference version. To fix and prevent this error from happening, the user will need to download and load a new set of preferences proven to fix the issue. Close any opened programs that use the wacom tablet as input such as Photoshop. In there, press the Remove button under My Preferences. After the preferences have been removed, press the restore button under My Preferences and navigate to where the user extracted the preference file downloaded above. After the restore is completed (it will take roughly five seconds), the issue should be fixed. First you need to confirm that you followed the instructions. Did you uninstall any previous drivers? Because we know from experience that second part pen can seemingly work even with Wacom drivers installed but only seemingly. Quite often the pressure sensitivity is off or the line is jittery. You see these things fixed once you follow the installing instructions. Disable the Wacom drivers and install the XP-Pen drivers. Alternatively check out the official XP-support. If you encounter problems with pen or touch functions on your pen tablet, refer to the following table. For entries with multiple solutions, try them one at a time until you have solved your problem. For additional information, visit Wacom Customer Care. 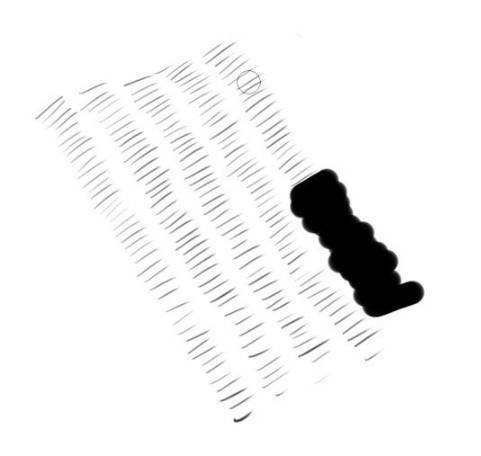 The pen does not position the screen cursor, or otherwise work properly. The tablet driver may not be installed properly. You will only be able to use the pen tip to move the screen cursor and click with the pen tip.For tablet models that combine pen input and touch, basic touch movement will continue to be recognized, but other actions and gestures will not.Install (or reinstall) the driver software for the tablet. Installing the driver. The pen does not draw or ink with pressure sensitivity. Some applications require that you turn on the pressure capabilities within the application or the selected tool before the pen will respond as a pressure-sensitive tool.Verify that your application supports pressure sensitivity. Clicking is difficult. Try using a lighter Tip Feel. Be sure you are quickly tapping the tablet twice in the same place on the tablet active area. Wacom recommends using the side switch to double-click. Open Wacom Tablet Properties and go to the Pen tab. Try increasing the Tip Double Click Distance or using a lighter Tip Feel. Set an ExpressKey to Double Click and use it to issue double-clicks. The pen selects everything, or will not stop drawing. Open the Wacom Tablet Properties Pen tab. Move the Tip Feel slider toward Firm, or select Customize... and increase theClick Threshold setting. If this does not help, see Testing a pen or mouse. The pen may need cleaning, or the pen nib may be worn. See Care and maintenance. The eraser selects everything or will not stop erasing. Open the Wacom Tablet Properties Eraser tab. Move the Eraser Feel slider toward Firm, or select Customize... and increase the Click Threshold setting. If the problem persists, see Testing a pen or mouse. You notice a screen delay at the beginning of pen or inking strokes. Open Wacom Tablet Properties and go to the Pen tab. 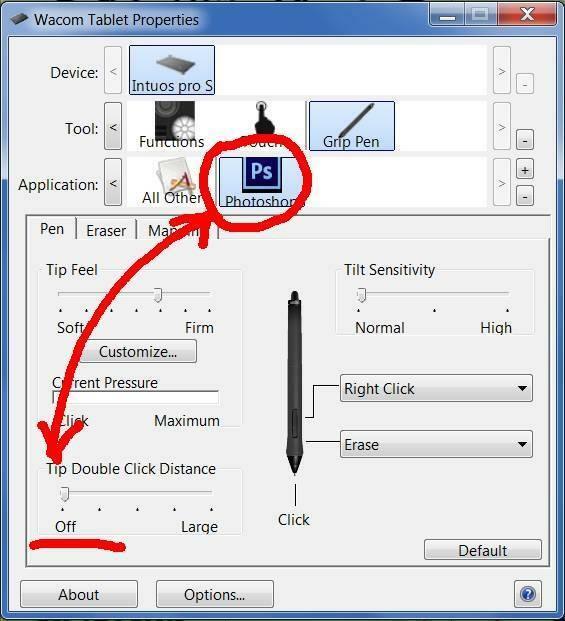 On the Pen tab, decrease the Tip Double Click Distance. If that does not work, move the Tip Double Click Distance slider to the Off position in order to turn off double-click assist. Try turning off the operating system inking features. You have to press hard with the pen when clicking, drawing, or writing. Open Wacom Tablet Properties and go to the Pen tab. Move the Tip Feel slider toward Soft. Select Customize... and decrease theSensitivity and Click Threshold settings. The pen tip does not function. Be sure you are using only a compatible Wacom pen, such as the pen that shipped with your product, or a Wacom tool specified for use with the product. Check the Pen tab and verify that a Click function is assigned to the tip. On the Intuos Pro, a tablet status LED should brighten when the tip is pressed. If not, you may have defective hardware. SeeTesting your pen tablet. Changing the settings of the pen or other tool has no effect. Make sure you are changing the settings for the tool and application that you are currently using. See Working with multiple tools. The pen side switch does not work. Be sure you are using only a compatible Wacom pen, such as the pen that shipped with your pen tablet, or a Wacom tool specified for use with the product. Be sure to press the side switch when the pen tip is within 10 mm (0.4 inch) of the tablet active area. Do this without pressing down on the pen tip. In Tablet Properties, verify that the side switch is set to the function you have specified for the application and tool you are using. See Using the Pen. Check the Side Switch mode. If Click & Tapis selected, you will need to first press the side switch while touching the pen tip to the tablet surface in order to perform a click function. See Advanced options. On the Intuos Pro, a tablet status LED should brighten when you press the side switch. If not, you may have defective hardware. See Testing your tablet. The screen cursor jumps back. Do not place a tool on the tablet when it is not in use, or when you are using another pointing device. Leaving your tool on the tablet may interfere with screen cursor positioning when using other input devices. You cannot move the cursor where you want it on the screen or the line you are drawing does not line up with the location of the pointer in paint applications. Open the Wacom Tablet Properties Mapping tab. 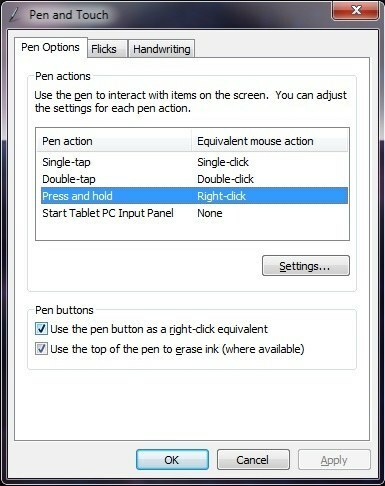 Verify that Pen Mode is selected and that the Screen Area is set to Full for the selected tool and application. If this does not help, click on the Default button to reestablish tablet to screen mapping. If you are still having difficulty, remove the tablet preferences (see Troubleshooting: Mac- or Windows-specific). Now confirm whether the pen functions. The Touch Ring does not work well when you operate it with the pen (Intuos Pro). The Touch Ring is designed to be used with your finger, and does not work with the pen tip. When using a multiple monitor system, you cannot use the pen to control the other monitor(s). Cycle pen control for your pen tablet between your displays by pressing an ExpressKey or pen button set to Display Toggle. Verify that the Screen Area in the Mapping tab is set to Full. 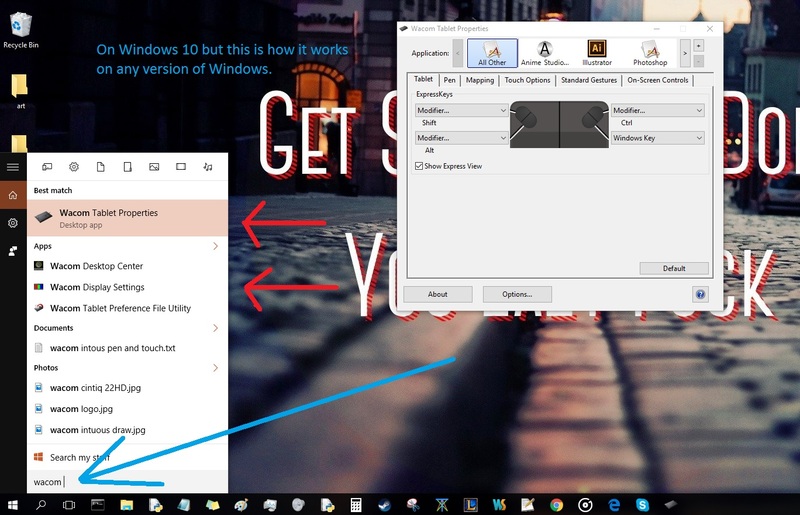 You can also use your pen to control the other monitors in mouse mode. To use mouse mode, first set a pen button toMode Toggle.... Then use the button to toggle between Pen mode and Mouse mode. Enable touch by pressing an ExpressKey that is set to Touch On/Off. Open the Tablet Properties, click on the Touch icon, and go to the Standard Gestures, My Gestures, or Touch Options tab. Be sure the Enable Touch option is selected. Touch does not seem to fully work. The screen cursor can be moved, but more complex actions do not work. If the tablet driver does not load properly, basic touch movement will be recognized, but other actions and gestures will not. Install the driver software for the tablet. Try reinstalling the pen tablet driver. See Installing the driver. The tablet does not reliably recognize multi-finger touch. If you hold your fingers too close together, the tablet may not recognize them as being separate. Try moving your fingers a little further apart. 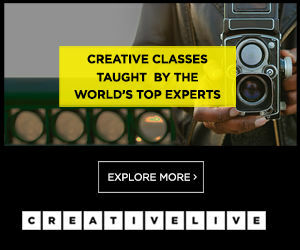 You cannot zoom-in or zoom-out when working with Adobe Photoshop®. If zoom functions do not operate correctly in Photoshop, verify that the Zoom with Scroll Wheel function is not selected in the Photoshop Preferences options. Rotation gestures do not work consistently, or do not work at all. 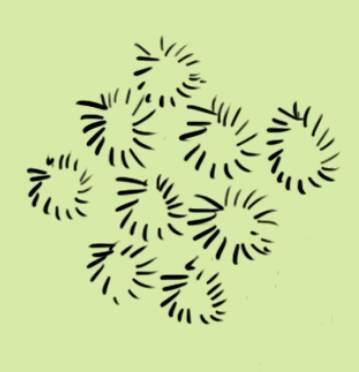 Rotation may work in different ways, depending on the application. For best recognition of this gesture, start with your fingers positioned diagonally on the tablet surface and keep them at least 25 mm (1 inch) apart. 1. Reset the tablet driver. 2. Uninstall your current driver. Disconnect the tablet from the PC. 1. Reset the tablet’s driver. Click Start > All programs > open the Wacom Tablet folder > select Wacom Tablet Preference File Utility > click on Remove under All User Preferences. If the problem remains, go to the next step. If it is fixed, do not proceed with the rest of the troubleshooting steps. 3. Download and install the latest driver for your tablet, please follow the URL link below. Click on Start > click on All programs > open the Wacom Tablet folder > select Wacom Tablet Preference File Utility > click on Remove under All User Preferences. If the problem remains, go to the next step. If it is fixed, do not proceed with the rest of the troubleshooting steps. 3. Search and delete all Wacom related files. Click Start > click on Search > type the following keywords on the Search text field, and then delete all Wacom related files. We recommend that you restart your PC after removing all Wacom related files. 4. Download and install the latest driver for your tablet. Temporarily disable your Anti-virus and Windows firewall before running the driver installer. Temporarily disconnect Network connections and other USB devices connected to the PC. Connect the tablet to a powered USB port, preferably directly to the mother board. Make sure that you are log in as a Computer Administrator. Try connecting the tablet to a different USB port or different PC if necessary. Clean the PC's RAM to free disk space and make processing faster. 1. Back up custom settings you have made in the tablet driver. Click Go > Applications > Wacom Tablet folder > Wacom Tablet Utility > click Backup. 2. Reset the tablet driver. Click Go > Applications > Wacom Tablet folder > Wacom Tablet Utility > on Preferences, click All Users then Remove. 3. Uninstall your current driver. Disconnect the tablet from the Mac. Click Go > Applications > Wacom Tablet folder> Wacom Tablet Utility > under Tablet Software, click Remove, reboot the Mac. 4. Run a Repair Disk and Repair Disk Permission. Click Go > Applications > Utilities > Disk Utility > select your local disk drive > click First Aid > Verify Disk, wait for it to finish > Repair Disk, wait for it to finish > Verify Disk Permission, wait for it to finish > Repair Disk Permission, wait for it to finish > reboot the Mac. Connect the tablet to your Mac. 5. Download and install the latest driver for your tablet from the link below, then reboot the Mac.